Novak Djokovic admits his slump-busting Wimbledon victory came as a relief, but now that he's a father of two it's not tennis that determines whether he's happy or not. 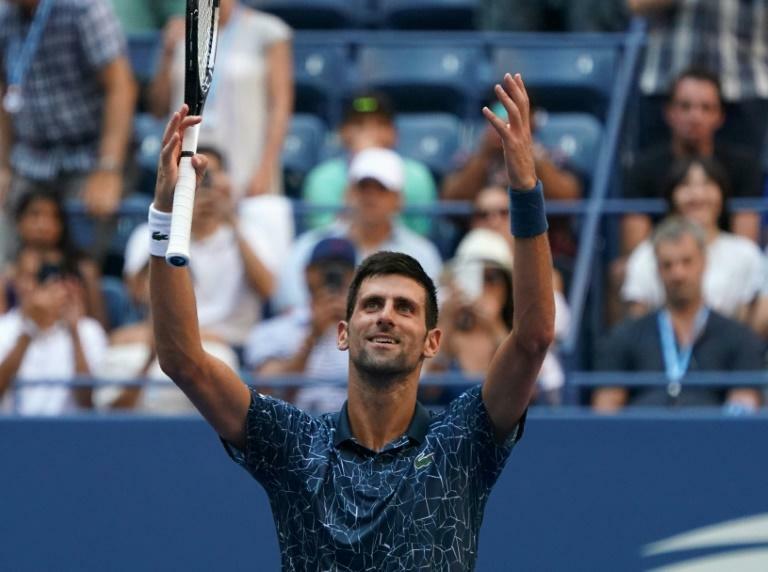 "There is a lot more happening in my life than tennis only," the 13-time Grand Slam winner said after reaching the quarter-finals of the US Open on Monday. "Of course I do feel better if I win a tennis match that I worked very hard for. If I lose it it's not going to change the course of my every day for a certain period. "Things have changed," added Djokovic, whose son Stefan was born in October of 2014 before he and wife Jelena welcomed daughter Tara in September of last year. "So there are things that make you happy even when you lose a tennis match." Djokovic's affinity for children was on display in his post-match press conference, when a pair of pint-sized reporters were given the chance to ask the final question -- who on tour does the best impression of the Serbian star. Djokovic said it used to be American Andy Roddick, but now is Nick Kyrgios. One of the children offered his own impression of Djokovic's raised-arm victory celebration and was delighted when Djokovic promptly took off his hat and handed it to him. Djokovic was then headed out from the Billie Jean King National Tennis Center to see his own kids. With a possible quarter-final clash with Roger Federer looming he wasn't sure he'd have time to catch the Swiss great's match with John Millman on TV. "I'm going first try to put the kids to sleep," he said. "When you go home there is no tennis number one, family is number one. "If I have time I will have a look."